JULIE CORBALIS WHAT’S UP WITH THIS HEART? Little flashes of images spark like photos tossed across a table, and sounds mix awkwardly as I try to focus on the topic at hand. On the stage at the far end of the room, there is a vision, a voice, a melody; at a nearby table, the chatter and clatter of a small party enjoying a late dinner is punctuated by vigorous applause at the conclusion of each song. At one point, an inopportune cheering erupts in response to a goal scored in an NHL playoff game, which is transmitted to the revelers at the bar via an overhead television screen. The spontaneous celebration is quickly cut off as abruptly as it begins, out of respect for the live performance taking place a mere few yards away. Such is the warmth of the moment, and the benevolent mix of performer and venue on this cool night in spring. And, after a long while in which I have found it difficult to write about music, I have found my way back to one of my favorite subjects. The occasion: a string of special bookings, the "Women and Music Spotlight Series" at MTK Tavern in Mount Kisco, New York. On this particular evening, the artist is singer-songwriter Julie Corbalis, a long-time favorite in the local area. The venue's furnishings bespeak its casual elegance: to the left upon entering, there is a long row of square shiny tables, each accompanied by four tall stools, all adorned with a gleaming ebony finish. To the right, the long, fine-grained wood bar stretches from the entrance to the stage area; and above and behind the bar multiple large TVs are displayed like living fine art prints, each opening a window on a different sporting event. One screen over from Sidney Crosby leading the Penguins past the Islanders in the NHL playoffs, the Yankees are winning early on the West Coast; on the set above the near end of the bar, my beloved Mets are losing at home. On this night, though, the triumphs and travails of the games overhead are lost in the friendly, informal, inviting atmosphere of the place. Julie Corbalis is an ideal performer for such a venue. In her selection of songs and the smoothness of her presentation, she is well equipped for the challenges of the 'home crowd' context that characterizes intimate settings like MTK Tavern — a milieu that simultaneously ensures respectful support and the expectation of a first-rate performance. The result is a winning mix of classic rock, folk standards and deep-catalog covers, all wrapped within a leavening blend of Ms. Corbalis' own original songs. Her wide range of musical fascinations, so well expressed in her choice of songs to cover, is also amply displayed in the breadth of interest and diversity of approach that characterize her songwriting. The emotional content of her own songs runs the gamut from sardonic admonition (the cleverly written "Should've Stayed Away") to flat-out protest ("Shame on You, Verizon") to loving pastoral ("Belgian Countryside"). Delivered in warm, resonant tones that invite friendly interest, in a setting conducive to active and attentive listening, these are the kinds of songs that shape those moments that brighten the spirit and offer a real hope for a vibrant, sustainable nightlife in these often-quiet suburbs. Located at 30 East Main Street in Mount Kisco, MTK Tavern features a daily lunch and dinner menu and a wide variety of beverages. The "Women and Music Spotlight Series" continues on Wednesday evenings at 8:30 pm, featuring Kris Cambria on May 15; Ams Palmieri on May 22; and at 7:30 on May 29, a double bill featuring the Knox Sisters and Alison Shearer. Find the full schedule at www.mtktavern.com; 914-218-3334. For more information about Julie Corbalis, see her official website at www.juliecorbalis.com. Sometimes a Rock Star Resident really is a rock star. But singer-songwriter Julie Corbalis, who lives in Port Chester, has more going on than a music career: She's a middle school social-studies teacher who squeezes in rehearsals and gigs during her off hours. "People always ask me, 'If you got a record deal, of course you would stop teaching right away, wouldn't you?' " said Corbalis, 32, who's been working at the same school in East Harlem since 2000. "Teaching is something I love so much,'' she says. "The kids are amazing, the schedule suits my life, and I get so much pleasure out of it." Corbalis, who grew up in Yorktown, began writing songs during high school. She played her first gig at a small club in Manhattan when she was around 20, then spent six years in a band called Jules and the Family, which put out two albums. In 2008, Corbalis released a solo CD titled "Old Flames & New Names,'' recorded in musician Fred Gillen Jr.'s home studio. Right now, she's in the midst of preparing for a show on Jan. 29 at Crystal Bay in Peekskill, featuring the band Backwoods Jupiter. The group, which includes 11 other musicians from the Hudson Valley, will present an homage to Bob Dylan called "The Desire Project" — a tribute designed to coincide with the 35th anniversary of Dylan's "Desire" album. Although it's just Corbalis and her guitar during solo shows, she's hard-pressed to label herself a folkie. "I'm much more comfortable playing upbeat originals and covers in a bar, where the crowd is a little rowdier than in a coffeehouse,'' she said. "That's more rock and roll than it is folk." As much as Corbalis enjoys performing, she won't be going the rock star route in her classroom any time soon. "It's such an intimate audience, I think it scares me,'' she said. You can learn more about Julie Corbalis on her web site, www.juliecorbalis.com. 1. She is left-handed, but uses her right hand to play the guitar. "Most lefties learn how to play righty because left-handed guitars are not as abundant and they're more expensive." 2. She has a master's degree in history. Corbalis, who got her undergraduate degree from NYU, went to graduate school at Hunter College in Manhattan, attending classes at night while performing with Jules and the Family. 3. It is imperative that she catch every episode of "CSI: NY," which airs Friday nights. "I'm addicted. I have to tape it. I definitely don't stay home, but I have to watch it at some point." 4. She watches a lot of cooking shows. "I watch them for enjoyment, not instruction. I don't cook. My boyfriend is an amazing cook." 5. She is currently obsessed with Keith Richards of the Rolling Stones. Corbalis just finished reading "Life," Richards' memoir. "When you're reading it, you really feel like he's sitting there talking to you." 6. Her first real solo gig was in third grade at Mohansic Elementary School in Yorktown Heights. Corbalis sang "Send in the Clowns." 7. During her senior year at NYU, Corbalis was Jamie-Lynn Sigler's RA (resident assistant) in the dorms. This was when Sigler was starring on "The Sopranos,'' but Corbalis had no TV — and no idea who Sigler was. Fellow students were starstruck. "I didn't really get to know her, but she was very nice." 8. She taught preschool in California for three months after graduating from college. "It was the hardest job I've ever had. It's way harder than teaching middle school, way harder than music. I would work from 8:30 to noon, and then during my lunch break I would go home and take a nap." 9. Her days as a Yorktown saxophone player are long gone. "I don't know how it would sound if I blew into it now. Probably pretty bad." 10. Her favorite band in middle school was Aerosmith. Corbalis spent much of her teen years listening to "Pandora's Box,'' a three-disc set featuring the band's music from the '70s and early '80s. "I had a huge crush on Joe Perry. Who doesn't?" Matt Turk, long a New York City club favorite, brought his 6-person band of musical wonder workers to the Living Room last night for a sold out 9pm set. The instrumentation was quirky as it was effective: sax, flute, accordion, piano, drums, acoustic and electric guitars, and Turk's trademark mandolin. Accompanied by the attractive Julie Corbalis, her country twang provided a soft edge to some of Turk's wailing hard rock vocals. But, his voice is the star of the show. Belting blues, softly breaking your heart with a range that is worthy of Aaron Neville, Turk can, and does, it all. Kevin Hupp provides a lock step beat on his kit behind the star and his solos brought rambunctious applause for his masterly interpretation of soft brushes on tom toms, a softly punctual bass drum and the gunshot precise sticks on metal. Fred Gillen Jr. is a marvy bass player who rocks out and provides a wondrous image in his superhero aluminum glasses, shag hair and solid vocals. The accordionist is also the piano player and the melody that accompanied Turk's broad range was as if a string section invisibly hovered over the set. Old favorites ("Broadway", Bette Says", Silver Ring") mixed with new tunes in this nearly 60-minute set that had the audiences stomping, singing and clapping along. Having followed this artist for nearly twelve years, his voice has only grown to even greater heights and become one of the rarest of the breed now playing club dates: intelligent rock'n roll. Given that Turk enunciates and we can actually understand the lyrics in even his most wailing of renditions, the feat leaves the viewer wondering what will come next?! He never disappoints. In the words of the great booking agent for The Doors, the late Marty Hoberman, Turk is now "a refined national act" and New Yorkers showed their appreciation for his return to the Big Apple after so long an absence. Port Chester resident Julie Corbalis revisits Bob Dylan's 1976 album Desire. As a local singer/songwriter playing weekend gigs in the Hudson Valley, Julie Corbalis is no stranger to playing cover songs. From Otis Redding's "Sitting on the Dock of the Bay" to John Prine's "Angel from Montgomery" she maintains a solid arsenal of proven crowd sing-a-longs. But she is no juke-box. With three albums of original music under her belt (both as a soloist and with a band), as well as performances in Europe and South America, Corbalis is not solely reliant on other people's music. Her most recent project, Backwoods Jupiter, is a band comprised of 12 Hudson Valley musicians. Corbalis assembled the group to recreate Bob Dylan's album Desire. While she handled all of the scheduling and vocalists requests, the product was a truly collaborative effort. The album was cut over three recording sessions– each lasting about six hours – during August and September of 2010. Even with near 100-degree heat, Corbalis said she recalls no disputes. "There was no fighting, it was a beautiful thing," she said. "People picked their songs to sing and there was no cattiness, just lots of positive energy." Growing up a Beatles fan, she heard Bob Dylan for the first time as a senior in high school. A friend's sister gave her a mixtape full of classic rock. 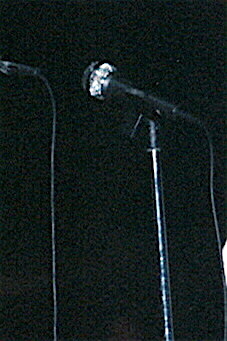 One of the songs was "Hurricane" – the opening song on Desire. The song chronicles the conviction of boxer Ruben "Hurricane" Carter for a triple murder offense in 1966. "It was deep and meaningful," Corbalis told me over a beer at Q restaurant in Port Chester. "The lyrics were amazing. You think you know a lot at 18 years old, and then you get exposed to Dylan. He had a lot of bravery in writing it," she said. "Just the fact that you can tell a story like that to mass audience in the '70s is remarkable." After hearing "Hurricane," she bought the album for a dollar in a used book store. It remained on her dresser until, after repeated listens, she decided to put her own twist on it. "Whenever I say I'm covering a Dylan album, everyone asks are you doing Blonde on Blonde or Blood on the Tracks?" Corbalis said of Dylan's more well-known albums. The reason for doing Desire, she says, is simple: "It was the only Dylan album I owned for a long time." Covering a Bob Dylan song, let alone an entire album, is no easy task. Musicians often fall into the trap of trying to sound like Dylan, and Corbalis said she was wary of that pitfall as she crafted her own versions of the folk legend's songs. "How do you cover 'Like a Rolling Stone' and not sound like a poser?" she wondered aloud. "People who try to sound nasal sound ridiculous. He makes it so much his own and that is what you need to do." To take ownership of the songs, Corbalis and her musician collective spent time finding their own sound and experimenting with different arrangements. While the original version of the song "Isis" features a piano, Backwoods Jupiter's version renders those piano riffs with electric guitars. "Some voices are more reminiscent of Dylan, others are very different," Corbalis said. Much has been written of Dylan's music and cultural significance, but Corbalis said her main objective was to showcase local talent. "I wanted to get these musicians some kind of notoriety," she said. While creative energy is vibrant in the local music scene, small bars and restaurants are less likely to pay money for live music due to the economy. But these people are still hard at work. Between the band members there are 25 independent albums, and two of the band members are full-time musicians. Corbalis is a part-time musician, admitting she is too practical to make it a full-time endeavor. Her other passion is teaching. Being a middle school social studies teacher in East Harlem fills out her weeks. Her appetite for history is evident in the band's name. Backwoods Jupiter is a nickname an aide gave to Abraham Lincoln, she discovered, while reading a biography on the 16th president. When asked to give a favorite line from the album, Corbalis pondered for a bit before deciding. "Time is an ocean, but it ends with the shore." "The vastness floors me," she said with a smile, "but I'm still not sure I know what it means." Backwoods Jupiter is holding a CD release party in light of the albums 35th Anniversary on Saturday, January 29th in Peekskill. The show will take place at The Cove (formerly Crystal Bay) from 8pm -11pm. A $15 dollar cover charge includes live music and a copy of the CD. Yorktown Musician Brings New Songs Home By Thomas Staudter Singer/songwriter Julie Corbalis feels lucky to have two passions. By day, the 30-year-old Yorktown Heights native teaches sixth and eighth grade social studies and environmental action at Manhattan East Middle School in Harlem, a magnet school that brings together a diverse group of 270 students from around New York Cityâ€™s five boroughs. â€œThe kids are awesome,â€ she said, adding that the energy and enthusiasm that greets her each day in the classroom is infectious. After school, however, Corbalis tends to her budding music career. Until recently, she has been performing in a quartet called Jules and the Family, playing originals songs and select covers of Beatles, Tom Petty and the Heartbreakers and Elvis Costello. With her first solo CD, â€œOld Flames & New Namesâ€ set to be released this week, though, Corbalis has been busy with the logistics of spotlighting her new work. click below to read the full article! Concert on the Green: Jules and the Family entertain Sunday Wednesday, August 13, 2008 Jules and the Family will provide modern folk rock at this Sundayâ€™s free concert on the town green. The music starts at 6 p.m. Jules Corbalis, who heads the group, is a singer, songwriter and guitar player. She started out on her own, but during a trip to Greece, she met Pat Kelly, an Irish musician, and the two went on a tour of Belgium and the Netherlands in spring 2005. She returned to the U.S. and eventually formed her own band, including Jonathan â€œJLâ€ Lloyd on guitar, John Madden on drums and Marc Osborn on bass. The group plays modern folk rock, and it encourages audience participation at its performances. The co-sponsor of Sundayâ€™s Concert is The Redding Pilot. The Starving Artist Cafe is a family of overlapping circle of friends. This is good. This is very good. Friday, April 18, Jules and some of the family came to visit. Julie Corbalis is a fine singer-songwriter whose lyrics betray a gentle, tender sensitivity, while her delivery reveals brass balls, if you will. She is charming to boot! She was joined on stage by her great guitarist JL (Jonathan Lloyd). She is many things at once and generous is one of them. She gave the stage to her Irish friend now living in Belgium, Pat Kelly. Kelly's songs were a treat. Witty and insightful. His voice is good, and his stage manner is humorous. It was a surprise fun evening and the family grew and the circles overlapped.